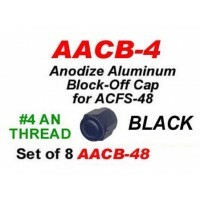 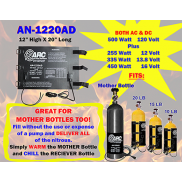 #4 AN Thread Anodized Aluminum Block off Cap for ACFS-48 ..
Set of 8 AACB-4 #4 thread of Anodized Aluminum Block-off Cap for ACFS-48 .. 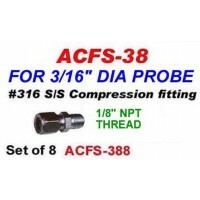 Double Ferrule #316 Stainless Steel Compression Fitting with 1/8" NPT insertion threads for 3/8" di..
8 Pack of ACFS-38 #316 Stainless Steel 1/8 NPT Compression Fittings for 3/16 Dia Probe ..
#316 Stainless Steel Double Farrel Compression fitting for 1/4" dia Probes. 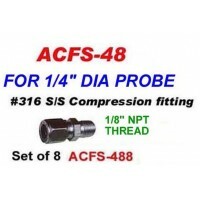 Threads are 1/8 N..
Set of 8 #316 Stainless Steel Double Farrel Compression fitting for 1/4" dia Probes. 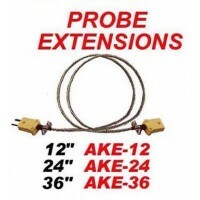 Threads ..
12" EGT 'K' Thermocouple Probe Extention ..
24" EGT 'K' Thermocouple Probe Extention ..
36" EGT 'K' Thermocouple Probe Extension ..
#316 Stainless Steel Weld-On Bung 1/2" High. 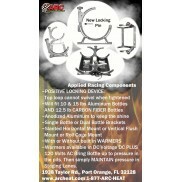 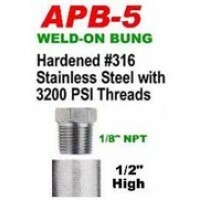 Bung is tapped for 1/8 NPT and is supplied with ..
Set of 8 each S/S BUNGS .. 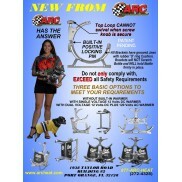 Spare Holster for AR-11 Instrument .. 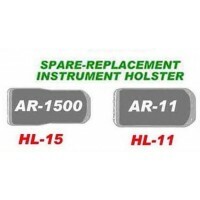 Spare Holster for AR-1500 Instrument ..
For use with older instruments that have the round pin jack. 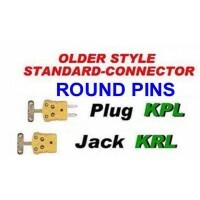 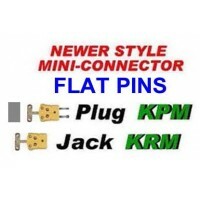 ..
'K' Calibrated Mini T/C Plug with flat blades ..